Tabletop 04 NVT Group members Data Physics and Team Corporation build and deliver systems for measuring, simulating and analyzing the effects of vibration, noise, shock, and other environmental variables for the benefit of our industry customers. Our combined capabilities and expertise elevate our position as a leading global provider of test and measurement solutions. Data Physics has been pioneering high-performance vibration testing and signal analysis in the aerospace, automotive, and defense industries since 1984. A leading provider of comprehensive vibration testing solutions, Data Physics offers a complete range of air and water-cooled Electrodynamic Shakers, Vibration Controllers, and Dynamic Signal Analyzers. 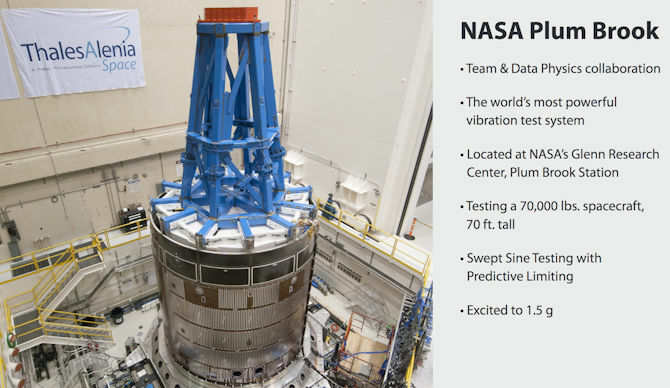 Data Physics vibration controllers deliver proven solutions, trusted by NASA, for control of critical multi-shaker and multi-axis vibration tests. The new Data Physics 900 Series Analyzer and Controller delivers comprehensive dynamic signal analysis and intelligent vibration shaker control - both stand-alone and fully integrated - leveraging a compact hardware front-end with exceptional dynamic range and phase accuracy. For more than 60 years, Team Corporation has supplied high-performance, custom vibration testing solutions for the aerospace, automotive, and defense industries. Since the first signature CUBE™ compact hydraulic 6-DOF shaker developed in 1993, Team Corporation has delivered numerous multi-axis vibration systems. Superior design and engineering of high-frequency servo valves, hydrostatic bearings, and coupling systems offer unparalleled performance. 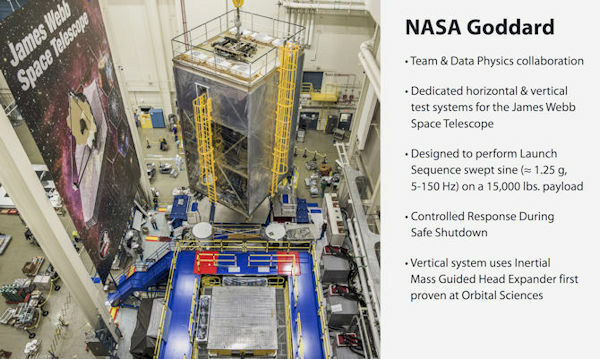 From the world's most powerful multi-axis test system at NASA Plum Brook Station, to components and accessories that enhance, improve, or upgrade existing test equipment, Team has proven it is uniquely positioned to provide robust, high-performance test solutions. For additional information about our companies, products, and services, please visit our website below or call us.